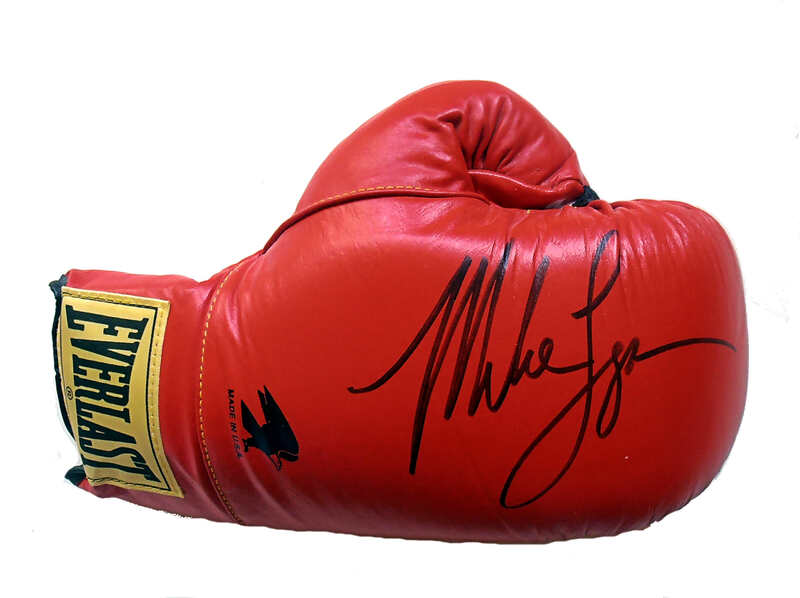 Description : Here we have a fantastic Mike Tyson autographed 16oz Everlast Boxing Glove. This is a full-on vintage Mike Tyson Signature from back in the 1980's when iron Mike Tyson reigned supreme as the 'baddest Man on the Planet'. Today Mike does plenty of signing sessions & has adjusted his signature to suit for mass-consumption as most celebrities do. But this Mike Tyson autograph leaves the rest for dead! Tyson is a former undisputed heavyweight champion of the world and holds the record as the youngest boxer to win the WBC, WBA and IBF heavyweight titles at 20 years, 4 months, and 22 days old. Tyson won his first 19 professional bouts by knockout, 12 of them in the first round. He won the WBC title in 1986 after defeating Trevor Berbick by a TKO in the second round. In 1987, Tyson added the WBA and IBF titles after defeating James Smith and Tony Tucker. He was the first heavyweight boxer to simultaneously hold the WBA, WBC and IBF titles, and the only heavyweight to successively unify them. 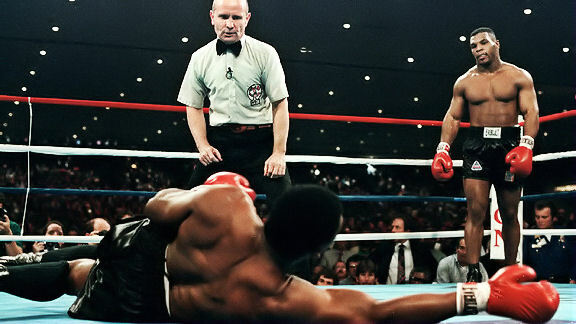 In 1988, Tyson became the lineal champion when he knocked out Michael Spinks after 91 seconds. Tyson was well known for his ferocious and intimidating boxing style as well as his controversial behavior inside and outside the ring. Tyson is considered one of the best heavyweights of all time. He was ranked No. 16 on The Ring's list of 100 greatest punchers of all time, and No. 1 in the ESPN.com list of "The hardest hitters in heavyweight history". He has been inducted into the International Boxing Hall of Fame and the World Boxing Hall of Fame. This Mike Tyson autographed 16oz Everlast Boxing Glove will come with a letter of guarantee of authenticity from KOfightposters.com for a lifetime & beyond.